Over the next century, millions more people will experience increasing number of intense weather events - flooding, hurricanes, droughts, heat waves - with 30% of species at an increasing risk of extinction. Climate change is affecting and is effected by many parts of the global environment. The loss of half the world's forests is not only causing the destruction of habitats home to diverse species, but also accounts for over 15% of greenhouse gas emissions. Friends of the Earth (FoE) is the world's largest grassroots environmental network, with national member groups across 75 countries and around 5000 local activist groups on every continent. With over 2 million members and supporters around the world, they campaign on today's most urgent environmental and social issues, promoting solutions that will help create environmentally sustainable future. Organisations that tackle environmental issues undergo a lot of scrutiny, but FoE is one of few that has a strong track record in their accomplishments thanks to safe yet effective campaigns. FoE also have extremely high ratings from independent research organisations for this cause, and rightly deserve their spot as the top charity fighting for the environment. With over 2 million members and supporters around the world, FoE campaigns and promotes positive changes to our economies, societies and large corporations that have the power to make a difference to the most urgent environmental issues today: climate change, the global energy crisis, extreme deforestation & loss of diverse species habitats and more. FoE is the world's largest grassroots environmental network, active on every continent, with national member groups across 75 countries and around 5000 local activist groups. To view a list of all countries and latest news, hit the button below (when you select a region, don't miss the list of countries on the right of the page). Founded in London in 1969, FoE has campaigned for over 40 years to bring about world-changing environmental laws, including the world's first climate change laws and encouraging large corporations to be more environmentally-aware with more sustainable processes. 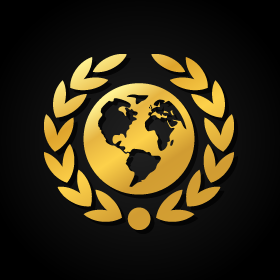 Victories are unique to each nation; hit the buttons below to view various successes. View Intl. Victories View U.S. View U.K.